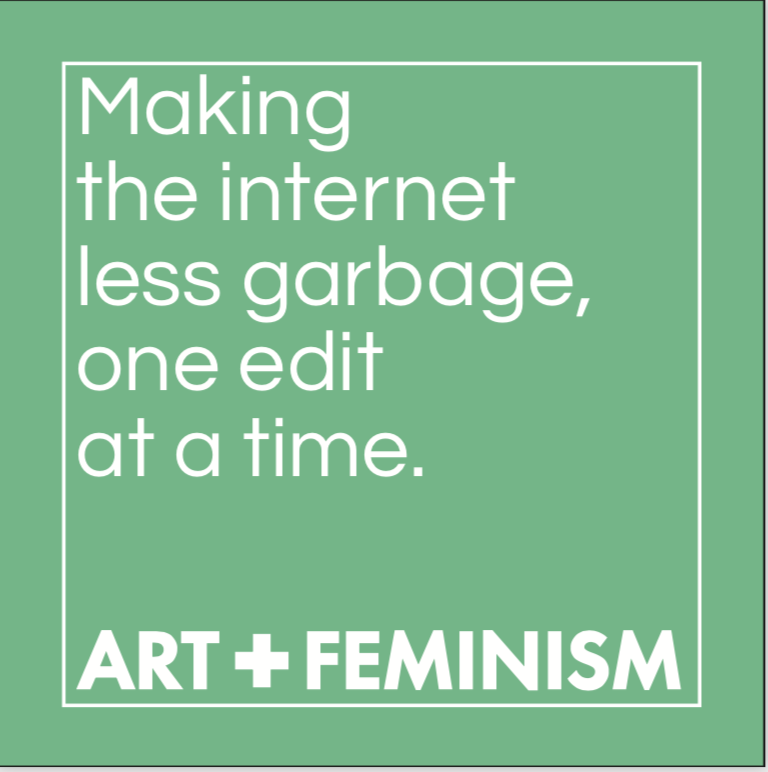 Home / Events / Art+Feminism Wikipedia Edit-a-Thon! Come learn how to edit Wikipedia and contribute to a great project to celebrate Women’s History Month! No experience necessary. Bring a laptop (a limited number of chromebooks will be available). RSVP appreciated, but not required. (RSVP here). Art+Feminism is a campaign improving coverage of cis and transgender women, non-binary folks, feminism and the arts on Wikipedia. It is committed to teaching people of all gender identities and expressions to edit Wikipedia.